Home | Lenham Motor Company Ltd. Welcome to Lenham Motor Company Ltd.
We found some original advertisements for Lenham Motor Company. Take a look. Julian Booty and Peter Rix founded their business restoring vintage cars in Lenham Square during 1962. After a year a customer asked the company to create a new body for his Mk 1 Sprite. They designed and built a sleek aluminium Grand Touring roof. Other customers admired it in the workshop and soon Julian received enquiries from people who wanted one for their cars. It was not viable to hand build each one in aluminium so Julian created a fibreglass mould in order that future body kits could be made in that material. To complete the transformation, Julian later designed the Lenham Superfast glass fibre bonnet which, aerodynamically was a great improvement on the Frogeye original. 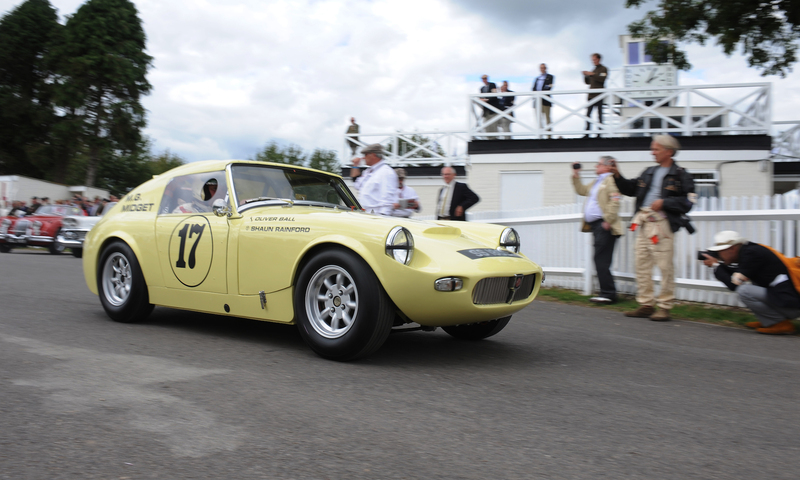 The advent of the Mark 3 Sprite and Mark 2 Midget with their wind-up windows, in 1964, created the opportunity for a new body kit to transform these later Spridgets into a sleek Grand Touring Car. Julian rose to the challenge and designed the Lenham Le Mans GT, named after the famous 24-hour race. Now products in glass fibre were firmly part of the business and the company also manufactured removable hard tops for winter use, to fit Spridgets and many other popular British sports cars. In 1967 the firm relocated to larger premises and at about that time started to trade as “The Lenham Motor Company Ltd”. Fast forward 25 years or so, and the glass fibre items no longer fitted cars currently in production, nor had they yet followed the cars of their era to classic status. David Coplowe, who had established a business preparing and running historic Formula 1 and Sports Racing Cars, approached Booty and Rix to buy the name Lenham Racing for his team. He came away with what he wanted in the form of the trading name of the Lenham Motor Company Ltd and all the moulds which then lay in the corner of his workshop, gathering dust. In 2001 David sold a pair of Midgets to CCK and as a result, offered them the use of the Lenham moulds on licence. They took the moulds and made the products on a royalty basis. The Sprite’s 50th Anniversary in 2008 galvanised interest not only in the original Sprite, but also in the various Spridget body modifications that were available in period. Lenham body kits had at last acquired classic status. In 2008 CCK acquired the moulds, together with the intellectual rights for all the Lenham panels that the company made for sports cars, along with the trading name “The Lenham Motor Company Ltd”. This included moulds for the early Lenham GT top which, along with the Superfast bonnet, fitted on the Frogeye floor pan. John Britten’s famous racing Lenham GT, SS1800 has been recreated, and to complete the Lenham Spridget range, the Company has now acquired from David Matthews, the moulds and rights to the Lenham GTO, the open top version of the Lenham Le Mans Coupe. A GTO demonstrator was created in Spring 2010, and customers can chose from all Lenham body kits and hard tops to order.